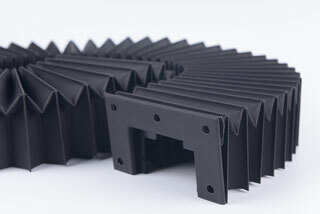 The bellow covers are designed with regular and irregular surface construction, which aim at protecting important precision transmission parts with less shavings and chip generation. 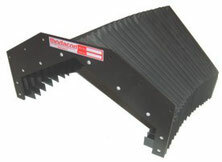 Typical applications include linear guideways or box guideways. They may prevent guideways from being damaged by external forces or pollution and help reduce drag force by parts movement. 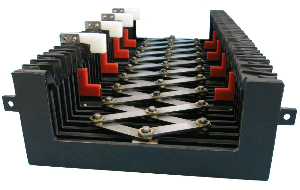 Thodacon components are made to increase machines lives and to reduce the risk of machines crashing. All the materials we use for bellow covers are of high quality. 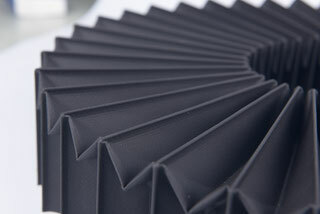 According to various working conditions, we provide various cover materials to choose from. For more detailed information, please download our catalogue here.